October 15, 2012 By Tina M 45 Comments This post may contain affiliate links. Read my disclosure policy here. Before we get into all my favorite Christmas traditions, here’s your reminder to activate your cash back with Ebates. If you are doing ANY online shopping this year, this is going to save you lots of money! It’s free and it’s my favorite way to find current store promo codes as well as get money back on what I spend. I’m in love with Christmas and although I haven’t checked to make sure, I think Christmas loves me back. Growing up in a low-income single-parent home didn’t offer lavish or expensive gifts but maybe that’s why I love it so much! I usually went into Christmas with low expectations as a kid but it always proved its magic. Christmas to me is about family, it’s about fun traditions, and its about celebrating the birth of our Savior, Jesus Christ. Anyway, right now I want to talk about some fun Christmas traditions because they are one of my favorite aspect of Christmas! Make sure and read the comments, some of you have shared some really awesome traditions! 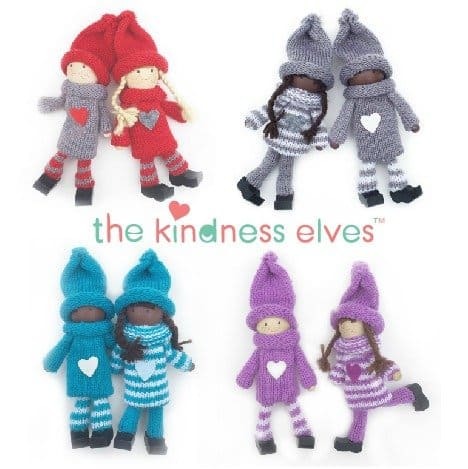 A fun alternative to “Elf on the Shelf” that focuses on doing kind things for someone every day leading up to Christmas. You need to order this one early so it ships on time! Christmas Treasure Map This is a fun scavenger hunt that leads the kids to a new Christmas activity each day leading up to Christmas. You can customize it however you like! If you are giving a vacation for Christmas, make sure and check out all the best Black Friday Travel Deals (Includes Cyber Monday). CHRISTMAS STALKER: In our family every year we draw names and whoever has our name is called our “Christmas Stalker” meaning you should “stalk” the family member you have to find out what gift would be most meaningful for them to receive. Another reason we were called “stalkers” is because our gift was to fit in a stocking….large or small…bought or made. We had themes every year; sometimes the gift had to be handmade, sometimes it had to be from the classifieds or a yard sale, sometimes it had to be something we already had, and sometimes it was purchased but had a spending limit (usually $10 which resulted in all of us watching the Amazon Lightning deals to see who could find the best deal for $10). See my previous post for a fun Christmas Stocking Tradition, as well as some ideas for stocking stuffers! CHILDREN’S CHRISTMAS TREE: A few years back I babysat for someone who had a neat Christmas tradition and I have decided to carry it on in my own little family. They had a separate “mini” tree for the kids that they were welcome to decorate and re-decorate over and over. Underneath the tree were Christmas books all wrapped up. Each night the children got to pick a present to open and they read that book as a family that night. This tradition kept the kids from messing with the decorations on the larger tree because they had their own, and it also kept them from getting into the presents under the big tree because they got to open one everyday from their own tree anyway. The books she put under the tree weren’t all Christmas books either–some were holiday books, some were silly books, and some were children’s books that teach life lessons. I saw on Pinterest the other day a kid’s tree using felt. I didn’t really want one on my wall, so I made my own version using a 28″ safety cone that I bought off Amazon. I wanted something that I could use year after year and that wouldn’t fall apart. 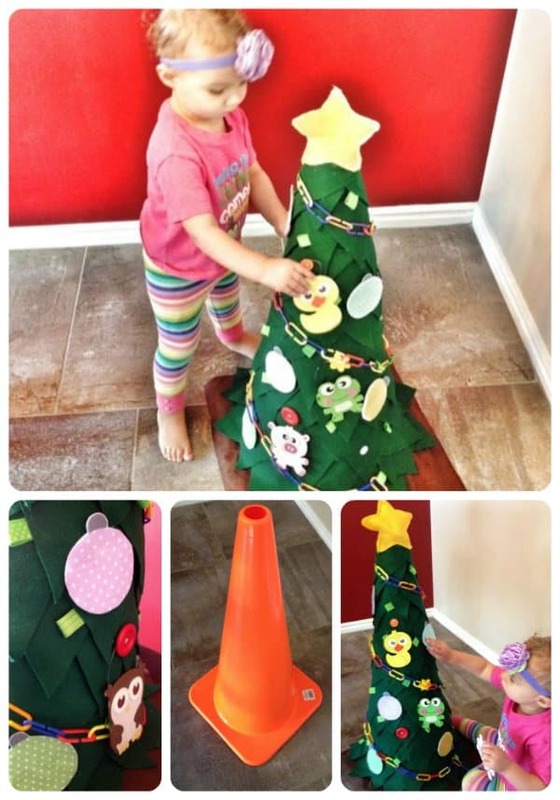 When Christmas is over, I can store the felt tree with my Christmas stuff, and put the orange cone in the garage. See my post Toddler Felt Tree Tutorial for more instructions. 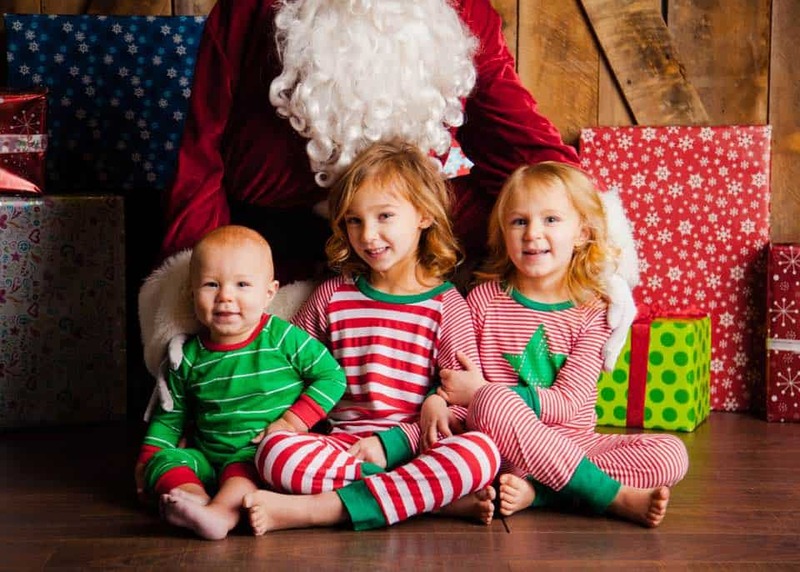 MATCHING CHRISTMAS PAJAMAS: (JUST FOUND THIS: DEAL ON MATCHING CHRISTMAS JAMMIES) I know of many families that do this one and have decided to do it myself. On Christmas eve, there is a knock at the door and Santa’s elves secretly leave new Christmas pajamas for everyone. This always makes for fun pictures. I always find our Christmas jammies on Zulily, but you can also find a good selection here. Gingerbread Village and Hot Cocoa: For me, it’s just not Christmas season without decorating gingerbread with the kids. Make up some of this homemade hot cocoa (make it once and then you have a pre-made mix for the rest of the season), and make a gingerbread village as a family! SANTA’S FOOTPRINTS: Growing up I loved to go over to my best friend’s house on Christmas morning to see Santa’s “footprints”. A cookie sheet with flour was left at the fireplace so that in the morning the kids could run to the fireplace and see that Santa really did come because his “boot prints” were imprinted in the flour. Very cute tradition. MAGIC REINDEER DUST: Leave carrots or oats outside for Santa’s Reindeer. Leave whoppers or chocolate covered raisins on the ground so that the kids can see proof that the reindeer have been in the yard! Here are a few printables for Magic Reindeer Dust Poems. PUTTING CHRIST IN CHRISTMAS Each year on mothernsiche.com, we try and give you some fun and creative ideas for celebrating the true meaning of Christmas. This year, we have given TONS of fun ideas to go along with the #LIGHTtheWORLD initiative. You will definitely want to participate with your family this year. Check it out here: Light the World Challenge. SLEEP OVER: Another fun tradition is to have all of the kids have a sleepover in one room and know that they can stay up as late as they want together watching Christmas movies and playing games, but they have to stay in the room (usually the furthest room from the Christmas tree so they don’t over hear “Santa”). This also keeps them up late and makes them tired, hopefully keeping them from waking up mom and dad at 4 AM. CHINESE: I have a friend whose family goes out for Chinese in their Christmas pajamas every Christmas Eve. Christmas traditions like this are fun because the kids look forward to it every year and the pictures are priceless. This wouldn’t have to be Chinese, you could adapt it to your own family’s preference. 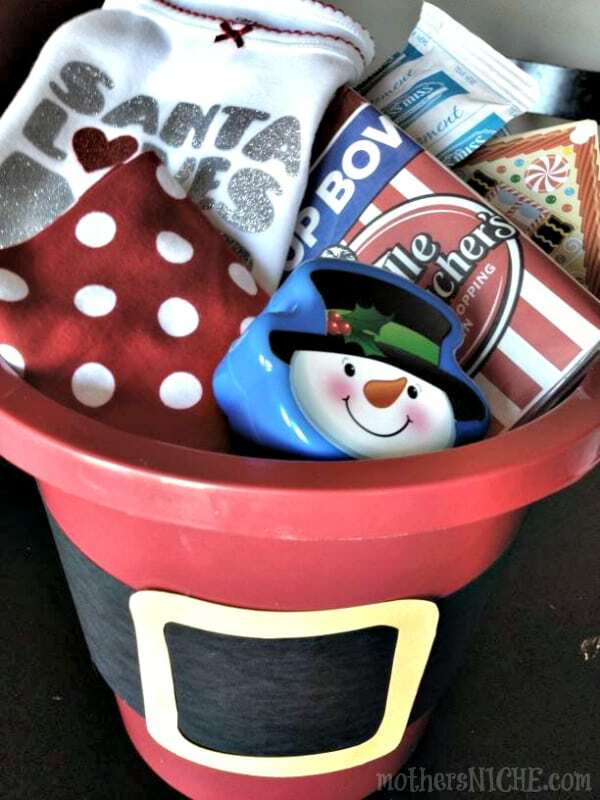 SANTA vs. PARENTS: I really, really like the idea of marking most of your children’s gifts from mom and dad, and having one special gift be the gift that Santa brings. This way children don’t feel entitled to a bunch of toys from a magical being and they learn the principle of gratitude. The magic isn’t taken away because Santa still comes, but they know to ask for one special item they would like from Santa, and the rest comes from mom and dad if they are able to do so. This way you don’t have to always wrap presents in such secrecy either. It doesn’t ruin “Santa” if kids walk in on you wrapping presents because they know that they get gifts from you as well. Christmas Trip. 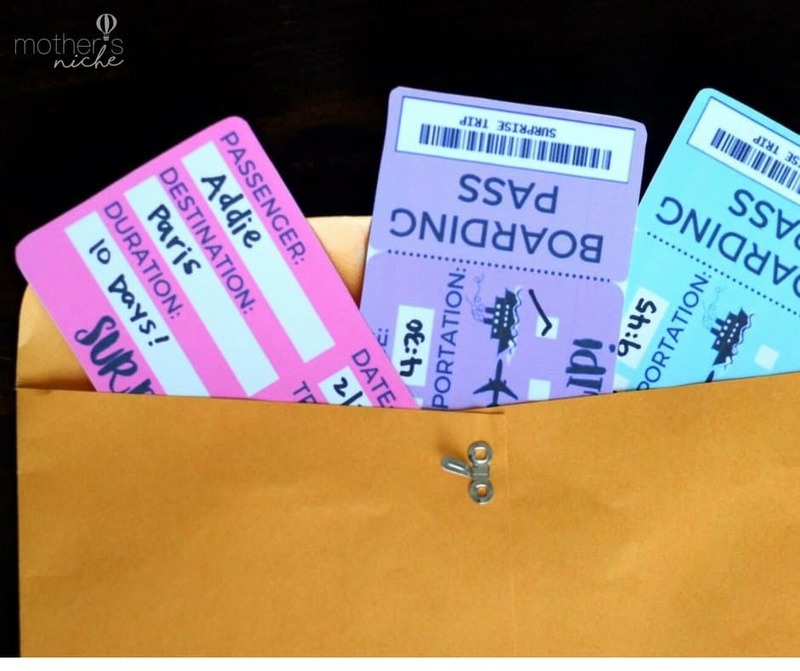 Several families have the tradition of giving a family vacation for Christmas instead of “things.” Here’s a fun printable ticket template for surprising a trip. SERVICE: Although it sometimes happened a few days before Christmas, my mom would usually try to arrange a service for us to accomplish on Christmas morning to help us understand the true meaning of Christmas. Sometimes this was volunteering at a soup kitchen, visiting an old folks home, playing “secret santa” to another family, or singing to a group of kids with special needs. GIFT FOR JESUS: We did this one several different years. We would write up a gift that we were going to give to the Savior over the next year and put it inside of an ornament. The next year we would read what we wrote and hopefully smile that we accomplished our goal. Use our free Gift For Jesus printable. NATIVITY: My mother always did some type of Christmas Eve “devotional”, and part of it usually consisted of us dressing up and acting out the story of Christ’s birth from the book of Luke. Now that a lot of us are older, the grandchildren now act out the story. You could also make nativity gingerbread houses! 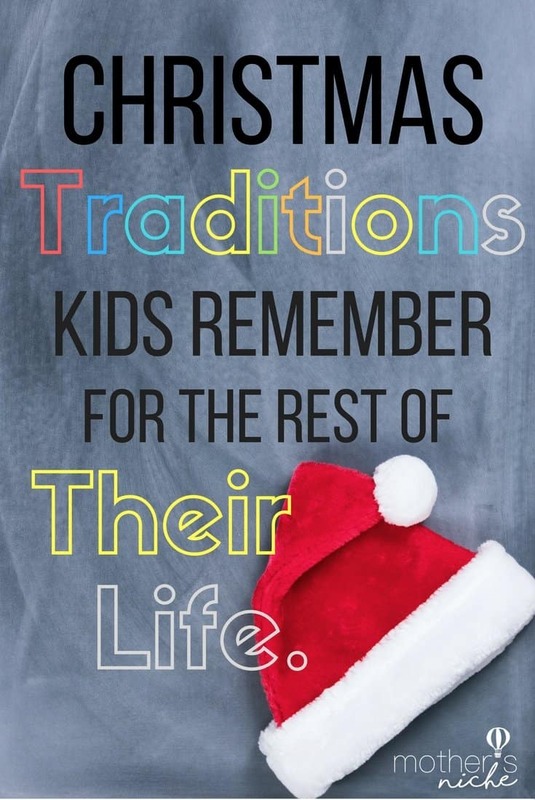 I enjoy falling in love with new Christmas traditions and making them my own because family traditions are extremely important for family unity. Traditions contribute to healthy family life because they give children a sense of belonging–that they are part of a group rather than a solitary individual. « Meal Planning and Groceries: From Nightmare to Magic! I love the children’s Christmas tree. Do you happen to have directions on how to make it? These are all such great ideas too.. I LOVE the Chinese dinner idea. That would be so much fun. Love these traditions!! Thank you so much for sharing, I am posting this to my blog today along with your Christmas tree felt tutorial. Thanks Sonnet! You have a cute blog! Thank you for sharing your Christmas Traditions. While I have a few of my own I love bringing new ones in. Being a grandmother to 6 grandchildren (5 boys, 1 girl) I find it even more important to make those lasting memories.I love listening to my grown up children talk of their Christmas memories. But now I need to make those special memories with my grandchildren. I am going to see if I can arrange a night that we can do the chinese restaurant in our jammies. That would be a fun and memorable moment. Thanks again for sharing. Love these ideas. Christmas is my absolute favorite. I want my children to love it as much as I do. Every year growing up, Santa left “clues” to lead my sibs and I to our gift from Santa. The first clue was in an envelope hidden in the Christmas tree, which contained a letter from Santa about how proud he was of our accomplishments that year. At the end was the first clue… Such as, “Go to the place where the cat loves to sleep”, then each clue would lead to another until finally leading to the big present. Speaking of Santa’s getting all the credit for gifts. I continue with the tradition my parents did with me with my daughter. We have to “pay” Santa for the gifts he delivers. This also keeps those items that a family could never afford not a problem. When my husband and I go out Santa shopping (great date night for us too) our daughter knows this is when we go talk to Santa and “pay” him. We’ve even ran into Santa and had our picture made with him. Our daughter has always thought it was special we met up with Santa. Our tradition is a variation on the felt Christmas tree. I would purchase huge faux evergreen wreaths at the after Christmas sales for the kids to decorate the next Christmas. We would have craft days when they would make, draw, paint, etc. their own ornaments. We would glue clthes pins on the ornaments or put fancy string on them. I hung each wreath in the house, down low so they were reachable. They could decorate and redecorate to their hearts content. Each year we would make more ornaments until the evergreen was hidden. One tradition that my mom started with us kids is that we each would get 1 new ornament every year and when we got old enough and moved out she would give us all of our ornaments collected over the years to put on our own trees and start the tradition over with our own families. Some years we would even make our own ornaments too! I know super late to comment but I love Christmas! And I want to do new things this year. When my children were small we always orange juice in wine glasses while I read the Christmas story before anyone was allowed to open gifts. On Christmas Eve I always read the Night Before Christmas. My 40 something kids still insist that we carry on these traditions. My mother started a tradition of the twelve days before Christmas. We were allowed to open one small gift each night until Christmas Day. It kept us from worrying about the bigger presents under the tree. Now as an adult, I have continued the tradition of the twelve days of Christmas with my own children and grandchild. Christmas tradition in my family was that none of our presents were left under the tree. My parents didn’t have a lot of money and usually were really stretching their dollars. Every year they would tell us how there wouldn’t be too many gifts. On Christmas Eve when all five of us kids went to sleep my parents and grandma would stay up all night til about 3 in the morning wrapping allllll the gifts. Because there was five of us when we woke up in the morning the floor would be completely covered with presents. So exciting! We loved that. And now all my sisters and I continue this tradition with our kids. Another thing we always did was youngest child opens a present then the second youngest etc. we would take turns opening presents one by one. I love this because it prolonged the joy and everyone got to enjoy the surprises instead of rushing through the chaos and missing people’s expression when they opened an awesome gift. We also open one gift at a time, starting with the youngest, then second…..then back the the youngest, etc. I like this because it prolongs it (so it’s not over in 15 min) and it taught us to appreciate others’ joy. It has 1 gold star that represents the star that led the Shepard and Wise Men to Him. It has 1 Angel that represents the Angel Gabriel who told Mary of the coming of Christ. And it has something green around the bottom of the cake to represent everlasting life. ( I use green mint leaf candy or green tree shaped cookies.). I also have the tape HAPPY BIRTHDAY JESUS that we sing along to after we go over the meanings on the cake and light the candles. My kids are grown now, so I do it with the grankids now. My dad started 2 years ago where we would plant the round peppermints in the ground (peppermint seeds as my 5 year old calls it) and the magic of Christmas grows the candy canes by Christmas morning. We all love it. Love this post!! Since my daughter was little- we run away Christmas Eve afternoon to the movies…It doesn’t matter what is playing, she picks a movie, we get treats and hide from the hussle and bussle….we both look forward to it every year!! I really enjoyed reading about your Christmas traditions. Years ago I put a “spin “ on the “magic reindeer food.” My son didn’t want to believe in Santa anymore, and didn’t want to make reindeer food. He did anyway to pacify me of course. We went outside and he grumbled about how stupid and silly it was spreading reindeer food on the lawn. After we went beck in the house and he went to his room, I snuck outside with a jumbo glow stick. After I activated it, I punctured a small hole in the top and sprinkled it all over where he spread the reindeer food. Of course the lawn glowed for hours. After I snuck back in the house and threw away the “evidence “ aka used up glow stick. I went to the window and started telling my son to come look out the window really quick. Once he saw how the lawn was all aglow with the magic reindeer food, he was once again all excited over Christmas and Santa coming to deliver presents. It was a wonderful time of the year. I love reading all of your ideas and I will gladly share my crazy Christmas fun traditions. 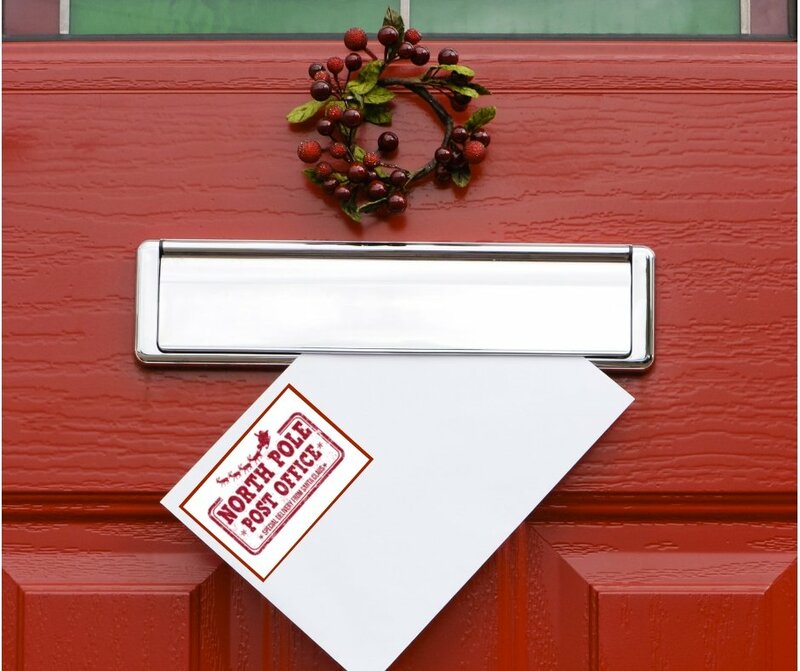 First, starting at their first Christmas, Santa writes each child a letter and it is attached to the gift from Santa. I agree that it’s ok to just have one from him and the rest from Mom and Dad. At one point I considered ending the letter – the year that my oldest figured it out – but then she showed me her box where she keeps all of her letters, so I keep writing them. She is 18 this year, and she will still get a letter! All 3 of my kids talk about Santa as if he is real (14, 16, and 18 years old). Lol. The second thing I wanted to share is this: about 5 years ago we went through some really hard times. My husband had a failing business and we were barely getting the bills paid. Christmas was going to be lean. At that time they were 9, 11, and 13… Christmas is supposed to be fun at that age, but I was struggling. In fact, I told them to be ready for a light Christmas, and I was really sad about it. What we ended up doing though changed every Christmas since then. I wrapped all of the old board games that we already had and one of their favorite movies and hid them in different places around the house with clues that I wrote in rhyme. They each opened a game on Christmas morning and their letters had instructions about deciding which one they wanted to play first. We were supposed to sit down and play – Santa’s orders! 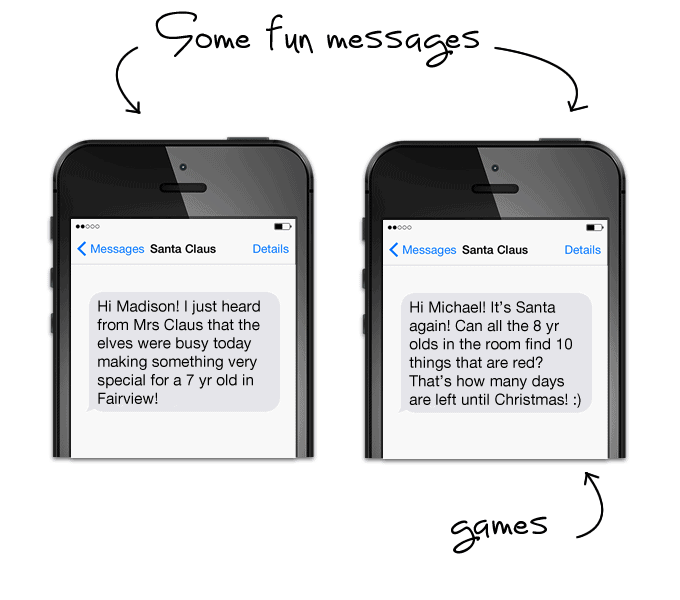 Then Santa texted us during one game and we found a wrapped pkg in the fridge – with all of their favorite snacks in it! Later a clue led us to the movie. We spent the whole day together – and they never even asked about gifts. The following July our business situation was better and I was out buying clothes with my oldest daughter. She stopped me and said “wait! If we have more money now, does that mean we can’t have a fun Christmas again? Like last year?” Of course, I cried right there. Ever since then, we have pretty much ditched the big gifts and I make riddles and games that we do together. Their favorite one has been done the last 3 years, and alreadybrequested for this year: They open a box together with recipes in it and they have to pick an item and make it…. cut throat kitchen style! It’s a riot! I just make sure that the ingredients are available that they will need. One year we took the final products to grandmas house to be judged. It really is a magical time of year! I love these ideas! My kids are just getting to the age where they really get excited for Christmas! Sharing this on my company’s Facebook page, Upsycare.com! One tradition that we have always done is having a Christmas tree in our boys’ bedroom. They have a 3 foot tall tree and all the ornaments are theirs. The special thing about these ornaments, is all the ornaments have their names on them. 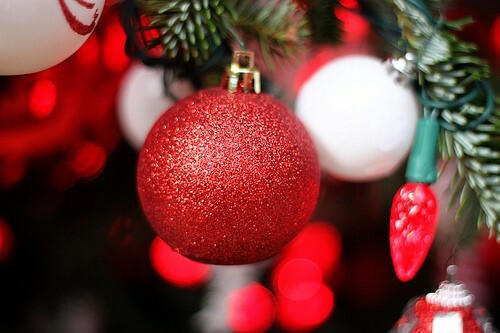 We find 1-2 ornaments each year with their name and they hang them on their bedroom tree! I used to do a Small tree with a new ornament from Hallmark I would buy my son. He had M&M lights in his window and few other things. He is now an adult and I never saw before family pj’s so I started them last year. We all got pengin PJ’s with a little different colored tops. For 2018 I have done elf things with vinyl on the shirts, and the guys have matching bottoms I got free with JC Penny’s $10 off and their great deals. I also go me a pair of ladies PJ’s bottoms free. Anyway we have done Elf for 3 years I just send him the pictures of Elf. Something fun for even an adult child. Now to Christmas things i am going to look into that the things you posted. I always have wanted to put Christ back in Christmas besides Church. I do give to an Church that gives free stuff to the needy all year long. I also gave my aunt’s family gifts this year because they lost their sister, mom (one person). I thought a little something was a nice thing to do. As a tradition on Christmas Eve since I do dinner, I give away favors, something I have bought or something I have made. Which comes down to a few items. Choke Cherry syrup in a mason jar that can become a bank after the point. This year home made soaps. ETc. Always doing something. Something else I did, I did not lie to my son who Santa was. We always gave him the big gifts, and the stocking was from Santa. I always told my son Santa was someone that loved him. When he found out at school who Santa was it was no big deal. While I saw family members so depressed when they found out who Santa was, I decided I wasn’t going to do that to my son. Every year on Christmas eve I wrap the door to the room with the tree in it in Christmas paper, the kids get to bust through the paper on Christmas morning! They love it so much. Also, I have 25 Christmas books that I wrap individually in Christmas paper, they get to pick a book to unwrap each day like an advent calendar. Again, they really look forward to this. We went to WDW last year before Christmas. I do Elf on the Shelf now 4 years with my son. He is an adult and working full time and working on his masters now that he will finish up next year. With that said even adults like fun. I had the Elf pictures I TXMG him done into 3 books. So he can look back and enjoy and he can also share when he has kids. Via Shutterfly and Mixbook is where I got the books. I forgot to mention. I started matching pj’s last year. So this year I candy cane ones, but couldn’t find the guys any so I sewed up some with pockets and fly, and I made one elf Pj’s and one a robe. TEE hee, I am no great sewer I mind you just do it now and then. However the Christmas pj’s are a new tradition. Next year they are Elf on the SHELF vinly I used on the shirts. This year I am doing a special Hot Chocolate in the crock pot that is white for the family members this year for Christmas Eve. We also play games and that is fun. We buy gifts although we are all adults and do different type of exchanges. I found on pinterest this game that you roll dice and they have a meaning. Like pass left, take a gift from someone. etc. One year we could only do $1 gifts. This year only $5 gift to exchange. When my son was little he had his own tree with Hallmark ornaments, and lights that were M&M lights. We give clothes away to a church that people in the society that need them can have some. They go like crazy. People are so thankful to receive them. We all dressed up in our PJ’s because they all go home and that way they were ready for bed. I try to do different things per year. I also have different nativities I put out per year but the yard one is the best one of all and you don’t see them often around town. She mentioned pinterest.com you just put in the search the name of the tree, like street cone Christmas tree. We played a game, we never laughed so much. I was going around asking people a question, favorite Christmas, the best give you ever got, etc. Then we came to favorite cookies, mine was spritz, husband was Mexican Wedding balls cookies, my son’s was chocolate covered pretzels. Then my sil said RUM BALLS. Then when I asked my bil her husband he said V Cookies. We laughed so hard, he did not realize the Rum Balls and V cookies. We had never laughed so hard on Christmas Eve EVER. Just worked out that way. I have found so many of the ideas we do since we moved back home now 11 years ago on Halloween. For Christmas We all had to wear stocking hats, when I read the poem it explain what to do, you had to take your hat off at certain times. Then we did the stocking one time and they had to figure out what was in it without looking. Again lots of Christmas games on pinterest.